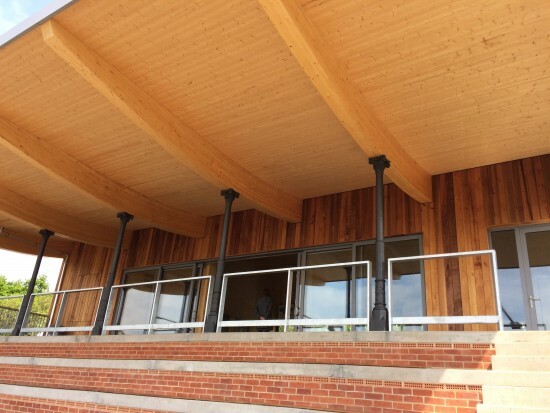 The long-awaited new pavilion at Herne Hill Velodrome was officially opened at the end of March by Brian Cookson, former president of British Cycling and now president of the UCI, the world governing body. The architect is keen cyclist Mike Taylor, senior partner at Hopkins Architects, responsible for the superb 6,000-seat Olympic velodrome. Herne Hill’s pavilion is in comparison modest, but it shows the same elegance and flair and will surely rank as a valued addition to Herne Hill’s architectural heritage. The original pavilion dated back to the opening of the track in 1891 and had been on its last legs for many years. Happily, its six distinctive cast-iron columns live on in the new building, which contains offices, changing rooms, a club room and a cafe. Funding came from a variety of sources including Sport England, who provided about half the budget with £750,000 of Lottery money. Also contributing were Southwark Council, the London Marathon Trust and the Mayor of London’s Sports Facilities Fund. 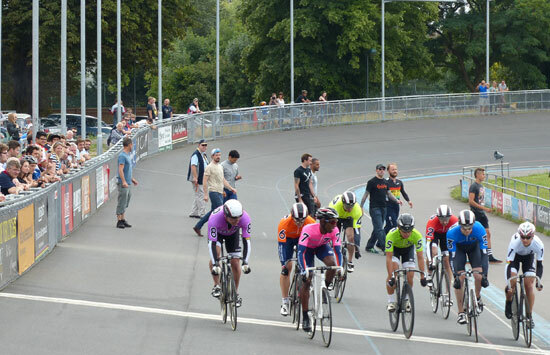 The Friends of Herne Hill Velodrome deserve particular praise for raising nearly £90,000 through crowdfunding. You don’t have to be sporty. 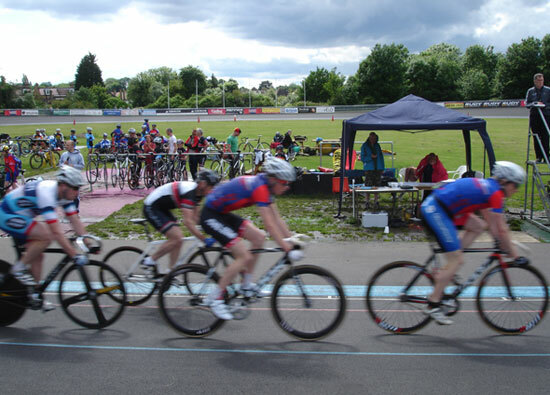 There’s a bike for everyone to try at the Herne Hill Velodrome, 104 Burbage Road, London SE24 9HE. I have an old good photo of Tommy Simpson when he came and raced at the track if anyone would like a copy…. We would be delighted to see this photograph and have emailed Mr Taylor to that effect. I have a silver badge that was awarded to my grandfather for attaining “circus Skills” at the Herne Hill Velodrome circa 1927. My grandfather was from Milford Haven in South Wales but his sister lived in Camberwell Grove, so it must have been while he was visiting. If you are interested I would happily email a photo.